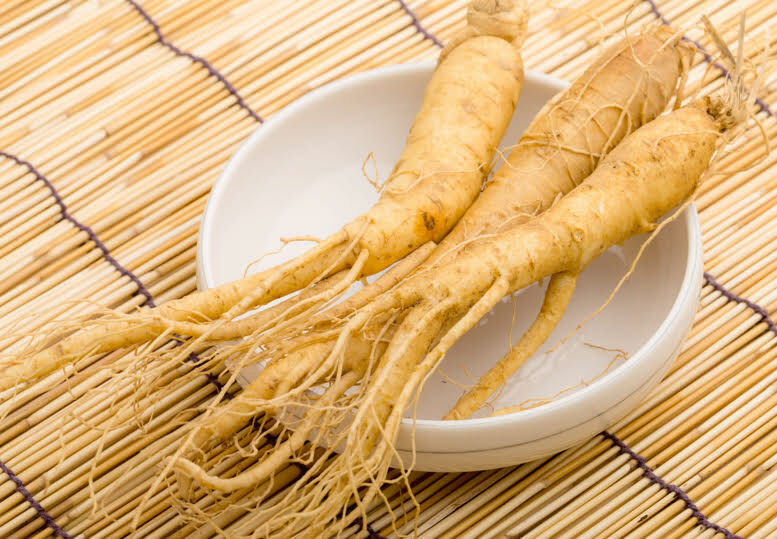 Ginseng root prices vary based on type, how it was prepared and how organic it is. American ginseng has become very rare and is hard to find; it also takes years to grow. The place where I buy my herbs, Starwest Botanicals, does have it in stock and many other options too. Because of its rarity, you won’t really find this anywhere else. Most places are completely sold out and you can’t even buy a full pound, which would cost over $300, at Starwest. This is as high quality as you will find, is USDA Organic and four years old. A lot of times you will see ginseng as “panax” ginseng. “Panax” is the botanical name of the plant which means “all healing.” The is an extremely beneficial root that many people don’t have the luxury of obtaining. Having the root is extremely useful in preparing teas or other herbal preparations. This is an extremely high quality ginseng from China. The Chinese have used the “all healing” powers of ginseng for thousands of years to treat various illnesses of the body and is a highly regarded natural aphrodisiac. Again this is USDA Organic. Having the powder is very useful and can easily be added to water after each meal to get its benefits; you will only need about 15 grains per glass of water. 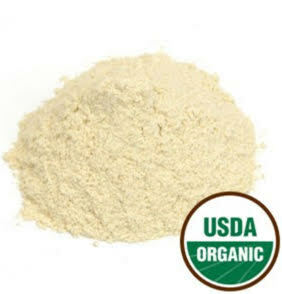 Red ginseng is a different plant than American ginseng and the root powder described above. It’s is still extremely beneficial, however it is not certified USDA Organic. This helpful herb has been used to boost immune system, improve heart health, treat diabetes, increase energy and help treat impotence. It is called “red” because it was first steamed and then dried, which is a little different than “white” ginseng. The main difference between “white” and “red” is processing; white ginseng is dried and receives no further processing. Some people believe this version has less health benefits because of its preparation and one study found it less effective, however still effective, than red ginseng in treating acute asthma. This is a really cool product and can be eaten the same way you would any other piece of candy or gum; except you’ll be getting all the health benefits of ginseng to go along with it. It’s made with the best all natural honey taffy from honey bees in the pristine high altitude of the Rocky Mountains and added with 200 mg. of Certified Organic Panax Ginseng per chew. They are gluten free and NON-GMO, and only have 20 calories per chew. No sugar is added and can be eaten as a snack or added to coffee or tea as a sweetener. You can also order refill bags (144 chews without the jar) for $64.25. Powder is one of the easiest and fastest ways to get results and you just need to mix it with water. The non-organic version is $111.17 per 1 lb and out of stock at 1/4 lb. Ginseng shouldn’t be used by anyone with high blood pressure. Other than that, there really isn’t any side effects if you take the recommended dose. I have a created an in depth guide on preparing herbs, recommended dosage, and how often to use. You can use it for ginseng and can read it by clicking here. When giving to children, the elderly or weak and debilitated people give 1/3rd to 2/3rd of the recommended dosage. I hope you found what you were looking for and get to experience the “all healing” powers of ginseng. If you have any questions or thoughts comment below and I’ll make sure to respond as fast as possible. Also, share on social media for friends and family to see. I came across this site when I was looking for pictures of ginger. What do you know, its actually ginseng. It has certainly drawn my attention to the health benefits of using this root. Something I did not know before! It does seem quite expensive and very rare. Is there a way I would be able to get hold of it outside of the USA? I am in Colombia, do you have any suggestions? Your site was quite an education. I’ve heard of ginseng but never used it directly. I never knew it is so expensive. It is also an eye opener seeing the various things it can be used to manage or cure. I always thought it is used mainly for energy. I will re visit to read more about the herb. Thanks for your very educational post. In our household we practice using all natural food, herbs and plants whenever possible and treat our food as our medicine. Iâ€™ve been doing some research on ginseng root and based on everything Iâ€™ve read this should be a staple in every holistic home. Whatâ€™s your favorite out of the kinds of ginseng youâ€™ve just listed? Thanks again! Its a rare herb because its natural habitat is shrinking and it takes yearsto grow before you can harvest. It is expensive and there are alternatives. It is called “all healing” for a reason though. Ginseng is really a timeless remedy to improve health. That’s why it sure is expensive. I’m surprised that there is such a thing as an American White Ginseng Roots. I usually think these herbs came from the Oriental countries only. Thanks for sharing a lot of good ideas about how to enjoy ginseng by the way. Your article showed the candy option that has natural honey mixed into it. And I sure hope children would opt for it than your average unhealthy candies. Ginseng is rare in America but def grows here. Some people even hunt the herb because it gets such high prices. And the chews would make an excellent replacement to empty caloried candies. These are great ginsengs to choose from, thanks for listing this down for us! I love ginseng and I used to drink ginseng tea with honey back then when I was in a relationship. My ex was chinese so she usually make traditional herbal drinks for me but now i need to try and learn how to make them on my own. Just out of curiosity though, is it okay if I drink like 6 glasses of ginseng tea a day? Will there be any adverse side effects? I spend most of my time on my computer working so I tend to drink coffee a lot which isn’t healthy so I’m switching to tea and apparently I do drink a lot of it. A pound of ginseng powder will last you a while, you only need to mix a teaspoonful to every glass of water. 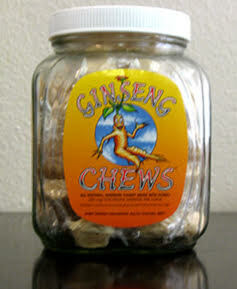 The supplements obviously won’t have too much ginseng, the chews have a good amount. Capsules are a great way to take ginseng. Thanks for commenting!